September 2015 - blog by a young rtist! blog by a young rtist! Ugh!! WHERE WAS THAT MOON?! It was the third time I checked!!!! All I saw was CLOUDS!!!!!!!! My dad and I kept running out and checking….AGAIN AND AGAIN! It was 11:00 ALREADY! I was too tired. Bad news: I couldn’t see it, and was too tired once my dad FINALLY SAW IT! Good news: We have pictures!!! Let me show them to you guys! By them, I meant it. So, I never did get to see the blood moon. My dad said “It will be 35 more years until the next one..I won’t even be here.” but my mom was like “Are you crazy??? NASA says it will be 17 years!!! NOT 35!! !” So, I guess it would be cool, if I ACTUALLY SAW IT! I’m gonna be like, in my late 20s when that thing comes back! 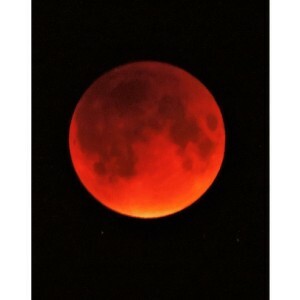 Well, I guess that’s fine… I also told my dad “You will not be gone once the blood moon is back!” He just said “You never know…” Ugh…I’m still a little grumpy that I didn’t see it. Well, let me know if you saw it in the comments! If you did was it Worth It? Sorry, I’m just OBSESSED WITH THAT SONG! (hums Worth It) Well, still let me know if it was worth staying up late on a school night. P.S. I’m gonna start using rt phrases to end my blogs, so what do you think????????? Tell me any more rt phrases you know! Sorry, I haven’t been posting about school but I didn’t do much there… So I’ve been thinking…maybe I can make videos, and do challenges, or rt blogs! Answer these questions for me please!!!! What kind of videos should I make? Do you want rt blogs, videos, and challenges? Also HOW DO I GET MORE COMMENTS! LOL sorry, but I haven’t been getting much comments!